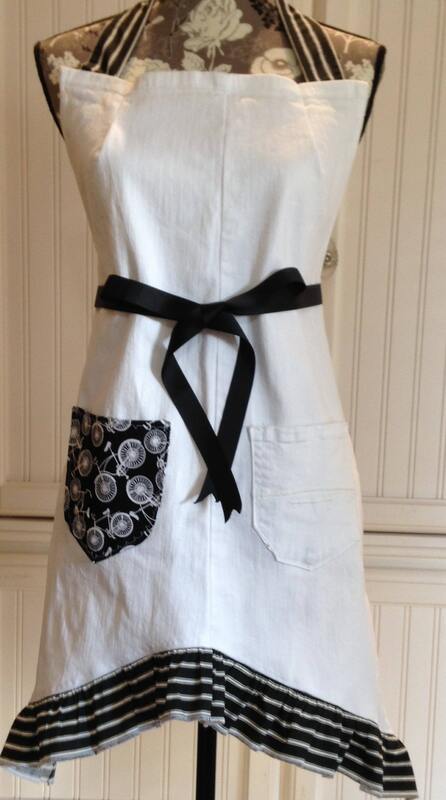 This slimming women's full apron is made from repurposed white denim jeans. There are two pockets. One pocket is a repurposed back pocket from the jeans and the other is black with white bikes printed on quilt quality cotton. 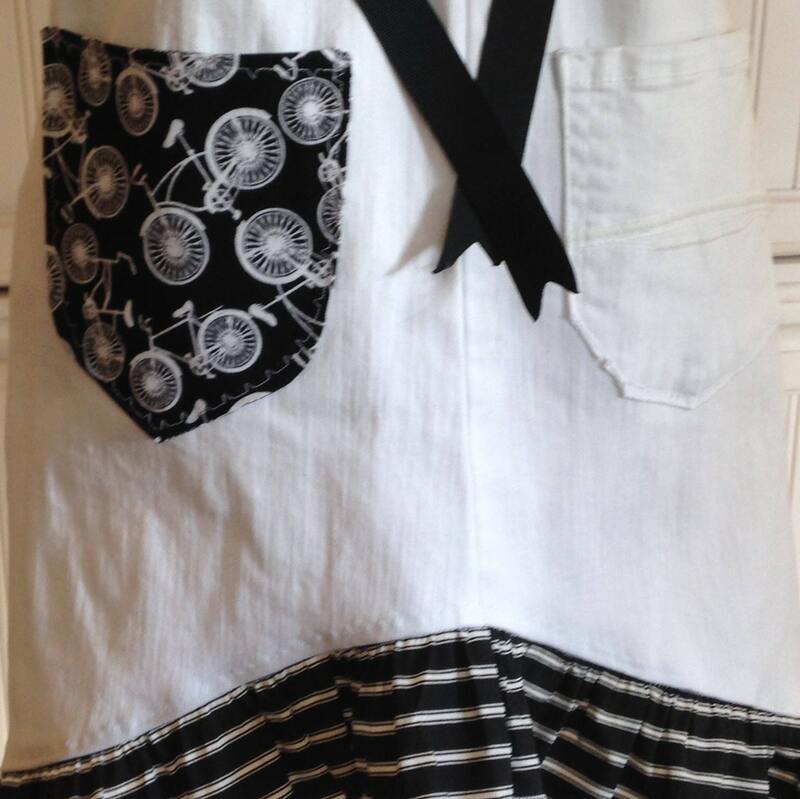 The apron has slim black grosgrain ribbon extra long waist ties. The neck has a black with white stripe single strap that matches the bottom ruffle. 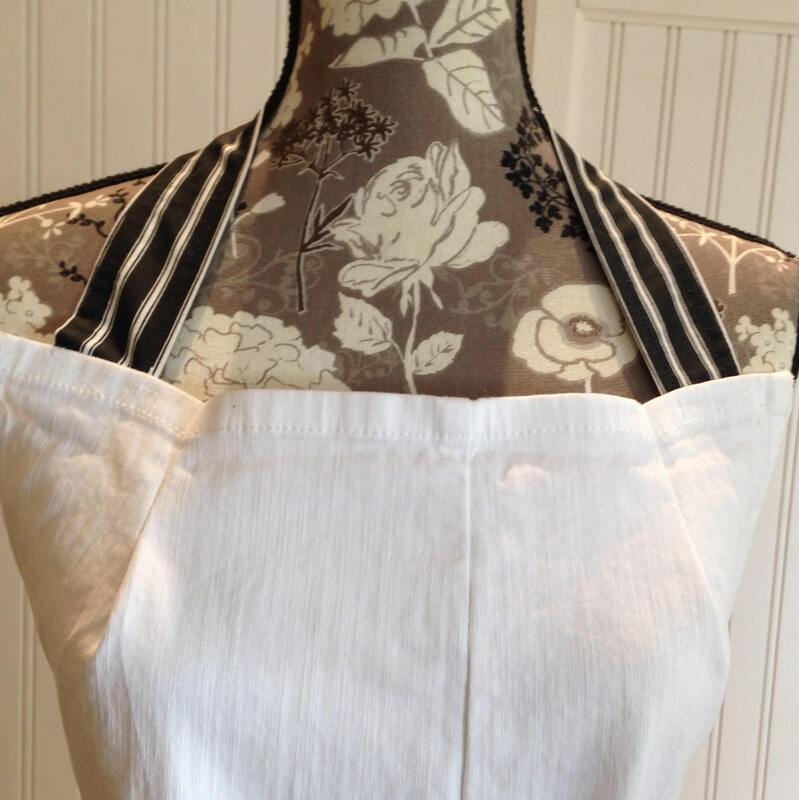 The hem and ruffle are an inverted V shape that gives the apron a slimming line. 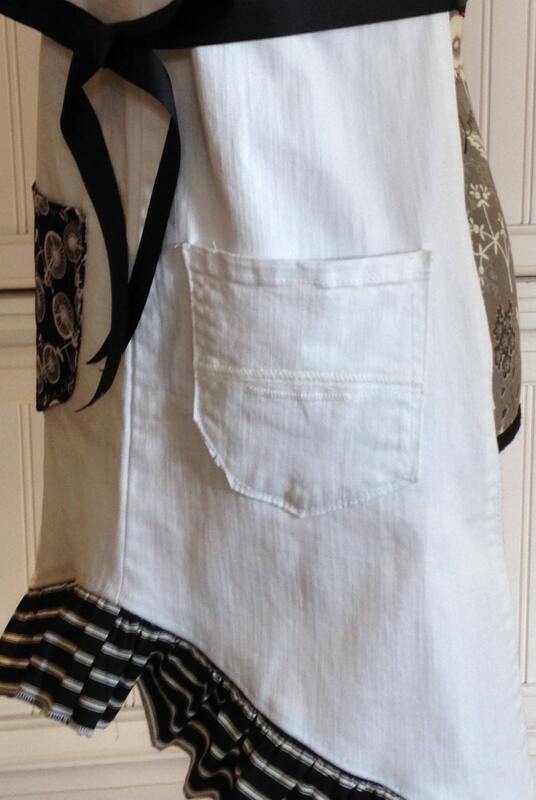 This apron will fit S-L comfortably. 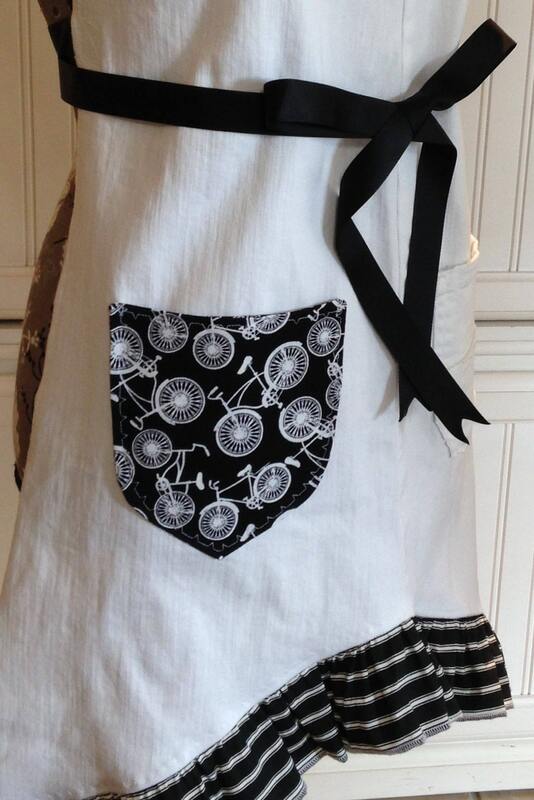 If you are looking for a figure flattering but hard working apron, this is it! Just slip it on and you'll look your best whether serving cocktails or basting the BBQ. Please launder in warm water on gentle to preserve the fit. All materials used have been pre-washed and the seams are serged for longevity.